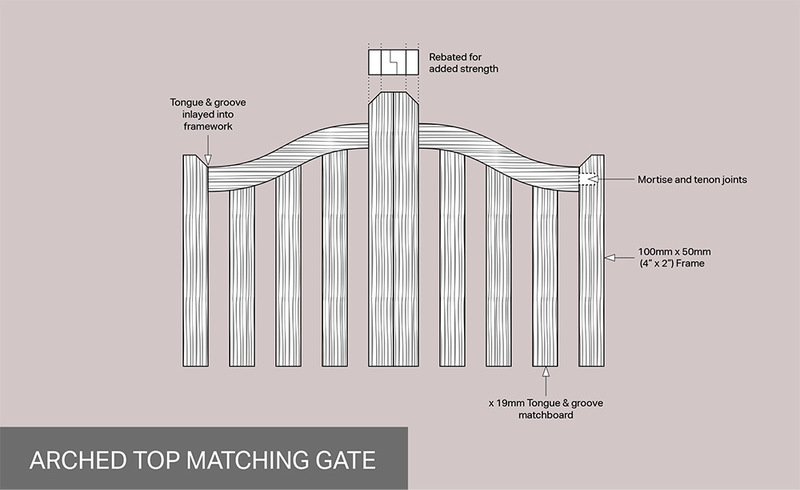 Weatherlap/Heavy Lap/Paling/Double overlap and Trellis gates. 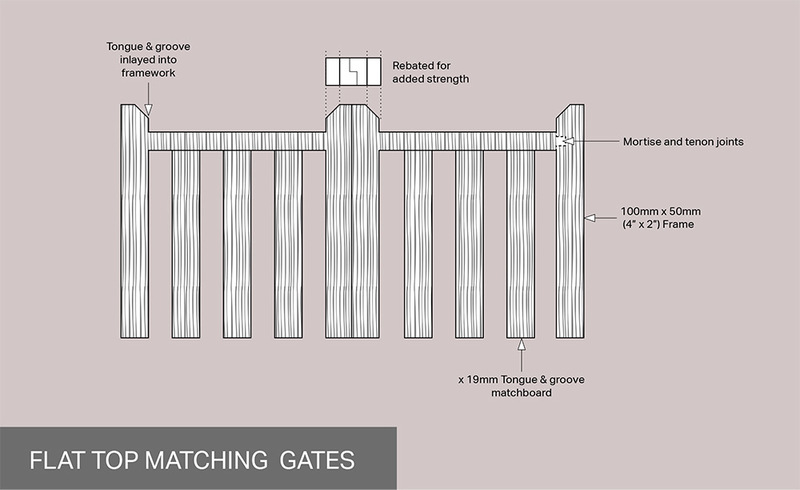 These gates are made to match the style of each panel, using either a Z-frame or box style construction. 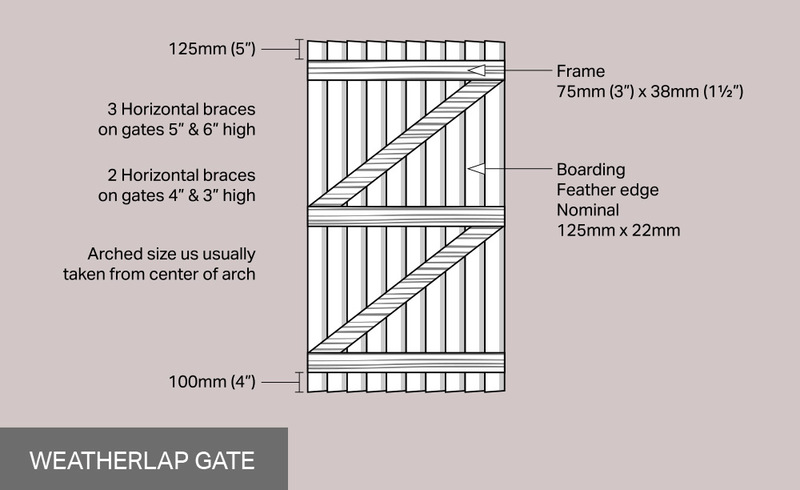 Weatherlap and Paling gates use a 75mm x 38mm frame in the Z Style, and when ordering, we need to know which side the gates hinges will be on when looking at the front (the good face) of the gate. 1200mm (High) and lower come with a top and bottom rail, and one z-brace. 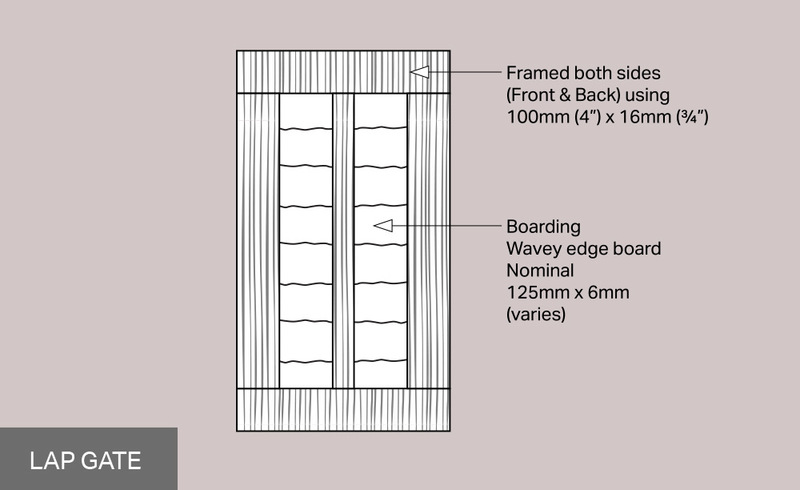 1500mm (High) and above have three rails, and two z-braces. 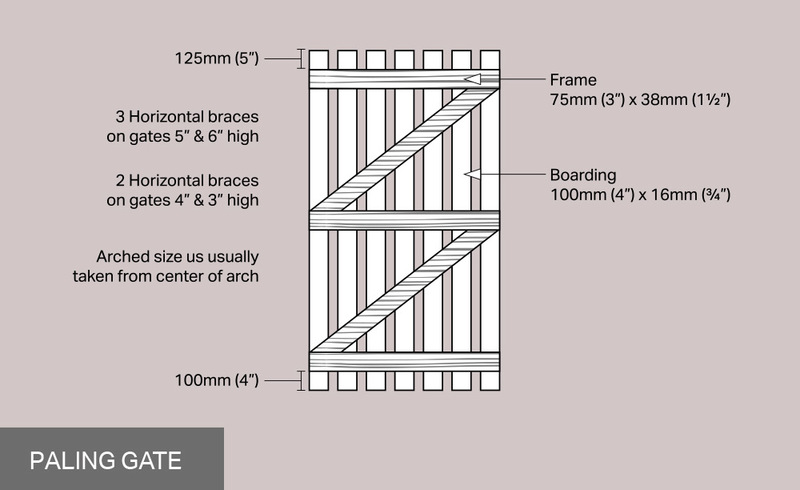 The Heavy lap, Trellis and Double over lap matching gates all use a Box style frame work, which uses 100mm x 16mm boards to "sandwich" the internal boards. These can be hung on either side. 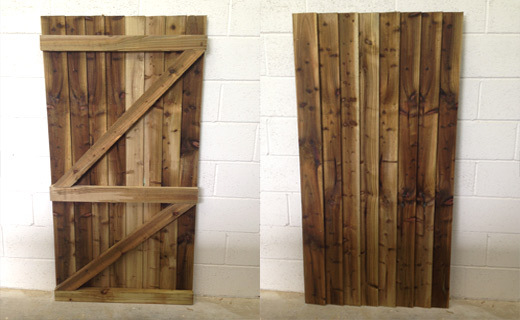 Please give one of our sales staff a call on 0114 234 3924 to discuss your gate and we will be happy to help. 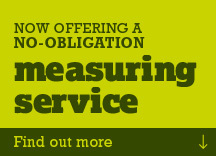 Call the Hillsborough team today on 0114 234 3924 and one of our gardening experts will talk you through the exact measuring process. 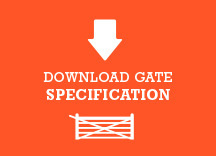 Alternatively simply email us a photo of the space where you'd like your gate to webenquiries@hillsboroughfencing.com and we'll let you know exactly what information and measurements we need. If you would like to get an estimate please fill in the form below and we will get back to you. 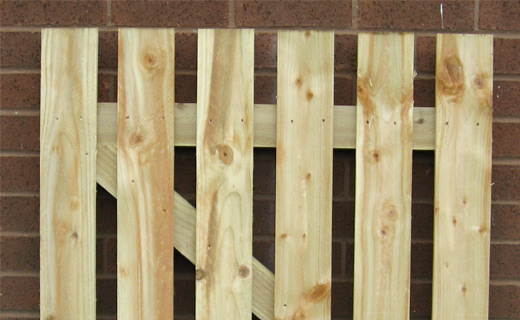 Alternatively call us on 0114 234 3924 or you can email us at web webenquiries@hillsboroughfencing.com. Feel free to ask us any question, you could even send us images of existing gates / the existing empty space and we will do our best to help you.